Atheneum Books for Young Readers, 9780689300721, 32pp. He could tell it was going to be a terrible, horrible, no good, very bad day. He went to sleep with gum in his mouth and woke up with gum in his hair. When he got out of bed, he tripped over his skateboard and by mistake dropped his sweater in the sink while the water was running. He could tell it was going to be a terrible, horrible, no good, very bad day. It was a terrible, horrible, no good, very bad day. Nothing at all was right. Everything went wrong, right down to lima beans for supper and kissing on TV. What do you do on a day like that? Well, you may think about going to Australia. You may also be glad to find that some days are like that for other people too. 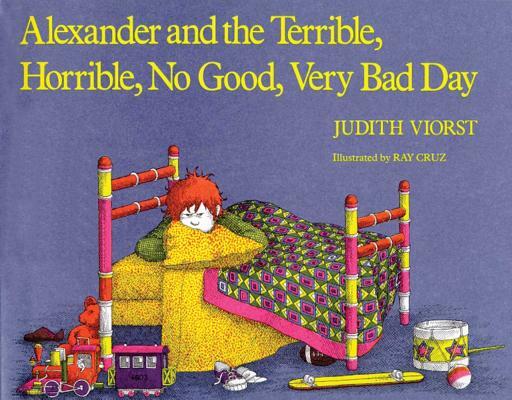 Ray Cruz is the illustrator of the modern classics Alexander and the Terrible, Horrible, No Good, Very Bad Day and Alexander, Who Used To Be Rich Last Sunday.